Last weekend, the absolutely, positively amazing Elizabeth invited a few bloggers over for a little holiday/lookbook party. Because, you know, Elizabeth makes some seriously gorgeous jewels. All. By. Hand. So I said I would whip up a hand-held dessert, because you obviously need your other hand for a drink. Obviously. I cannot take credit for the recipe I made, however. I must credit this to the fine folks at Whole Foods. I used this recipe, to a T, and they turned out SERIOUSLY delicious. I'll be sharing some more posts from this awesome party later on this week, including the quickest look into what I wore. But I will leave you with Elizabeth's dog, Fenway. Because I LOVE pet portraits. I think I should've made you all sign a waiver that you couldn't be so gushing because now I'm gushing. I'm so so glad you came and I can't wait to see the photos but until then, this photo of Fenway is THE MOST! It wasn't my party but I'll gush if I want to! Also I feel like a hipster talking about a fixed-gear bike but FIXIES FO LYFE. I do everything with my 50mm! 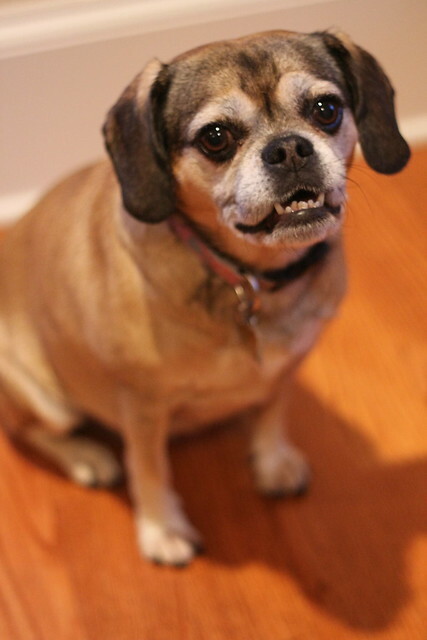 Look at that underbite on Fenway. What a doll! Doggie Kisses for life! She stole my heart FREAL. Girl, dat bokeh's on point. I am all about anything peppermint this time of year, and these look fantastic! 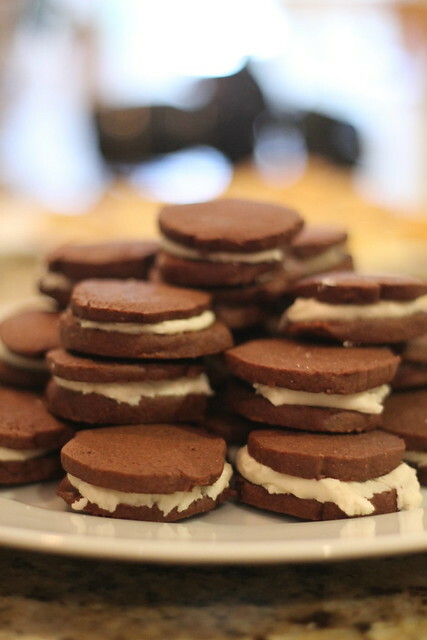 i love making whoopie pies at christmas time, i usually use paula deen's recipe! WHAT ARE THESE I WANT THEM ASAP. 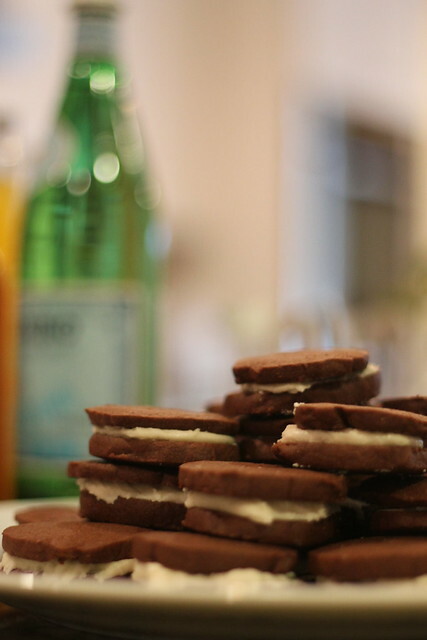 Need cookies for an exchange (not what you think) next week and may have to resort to thesseeee babies.